The true cost of asbestos was highlighted at the Labour Party conference in Manchester this week when victim support groups held a vigil outside the conference centre. The vigil, which called on the government to fund research into mesothelioma through money provided by the insurance industry, was addressed by shadow equalities minister Kate Green. 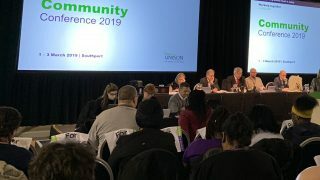 UNISON head of health and safety Tracey Harding welcomed Labour’s support for the call to fund research. 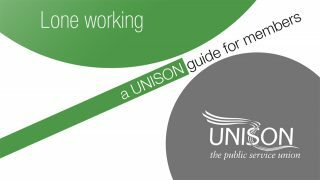 Earlier this year, UNISON also urged the paty to commit itself to an asbestos audit of schools, and to provide the Health and Safety Executive with the resources needed to restart proactive inspections of schools, hospitals, nursing homes and other public buildings.